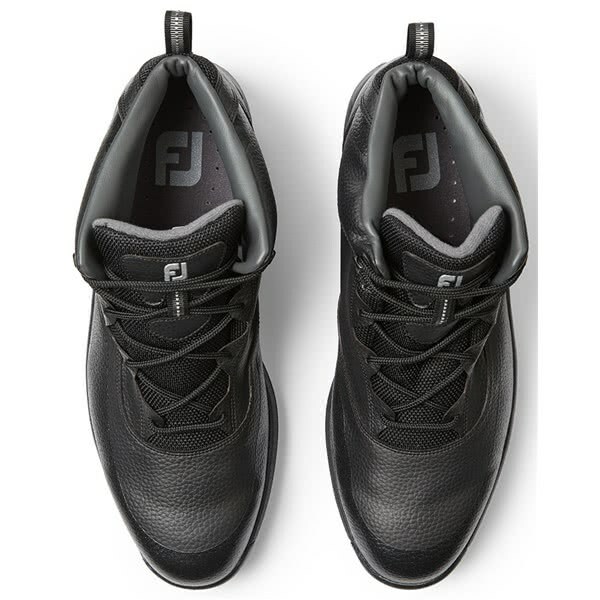 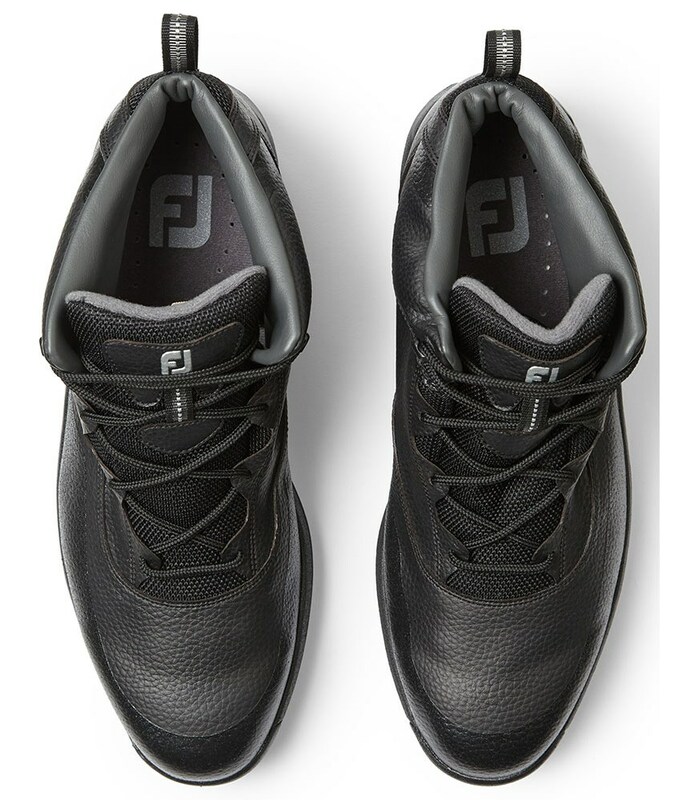 FootJoy have created the Men’s Hydrolite Golf Boots to provide and deliver incredible comfort and protection against the elements during the colder months of the year. 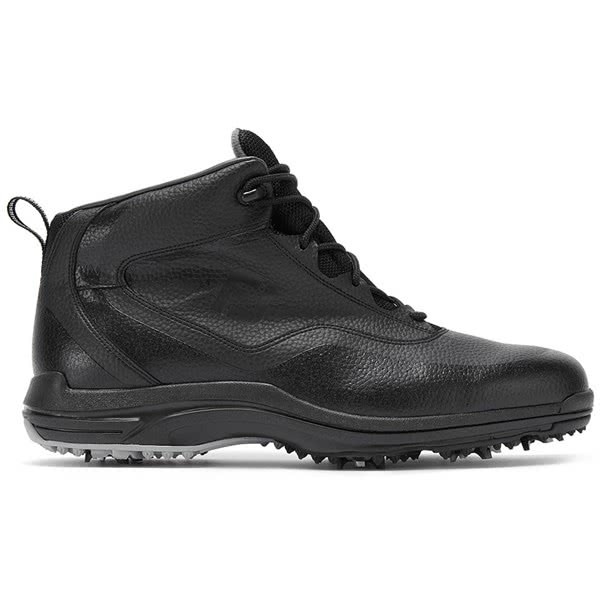 A waterproof synthetic upper and mid-boot height provides the necessary protection against wet underfoot conditions, rain and cold. 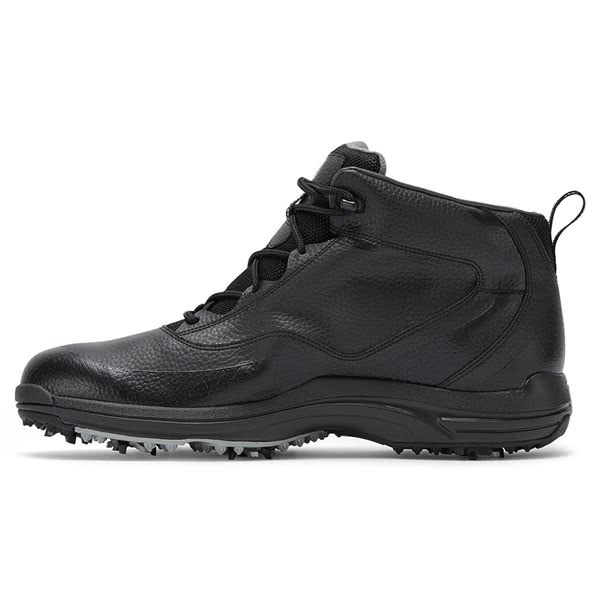 This synthetic upper is supple, durable and designed with a modern look perfect for golf. 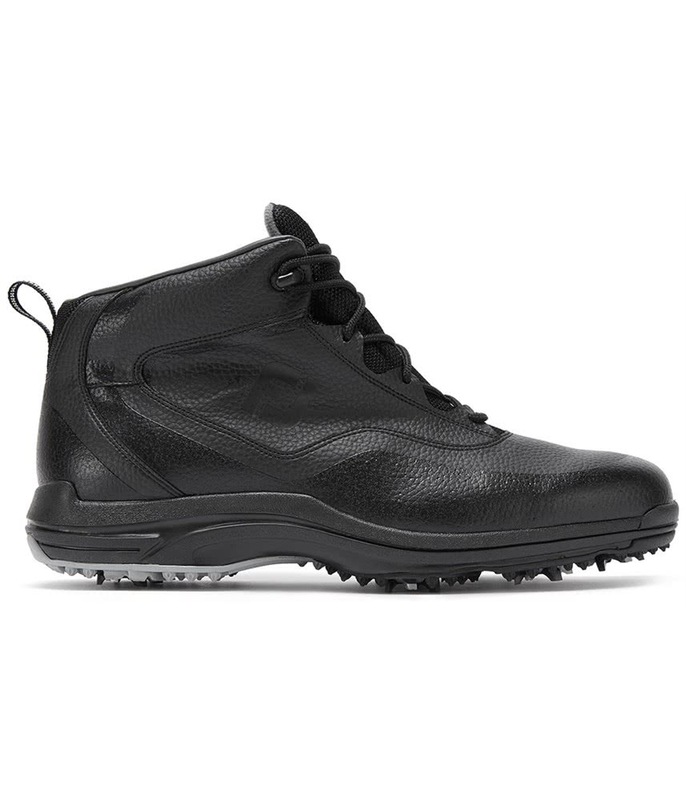 Easy on/off is achieved by the wide lace design and pull tap on the top of the boot. 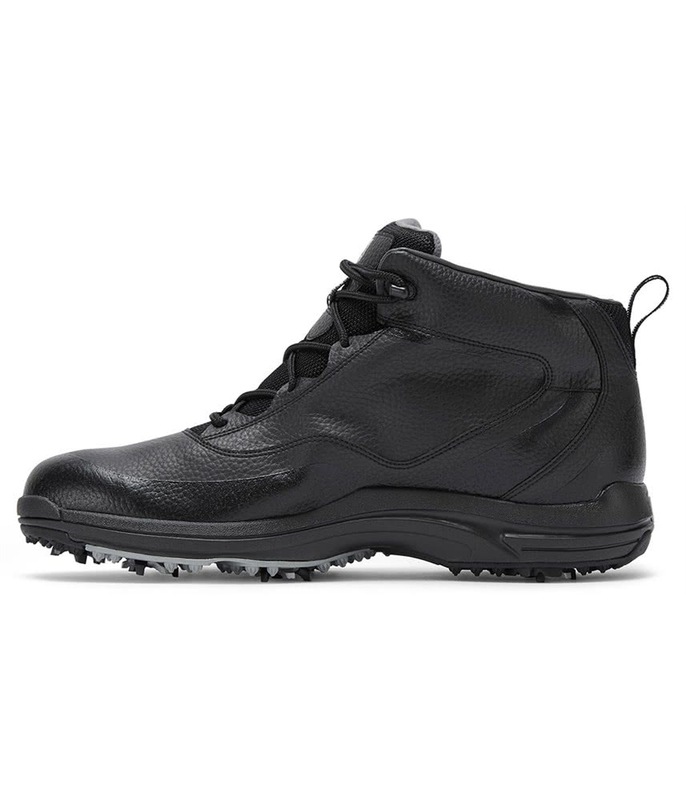 A wider tongue and mid-boot height will prevent water coming in over the top. 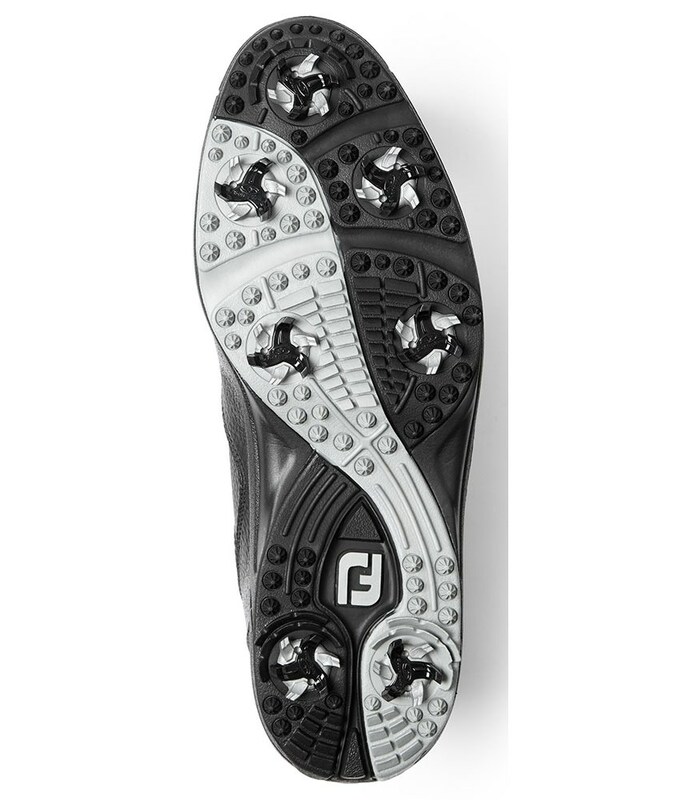 A duramax midsole offers excellent cushioning and energy return that when combined with the Fast Twist 7-cleat sole design increases the traction, stability and grip on all types of underfoot conditions.